On a dark, gloomy, rainy day in south Florida, the spirit of the rock and roll blues came to brighten up the day. The Sunshine Blues Festival came to the beautiful city of Boca Raton on its 3-day tour around Florida, going to Fort Myers as well as St. Petersburg. 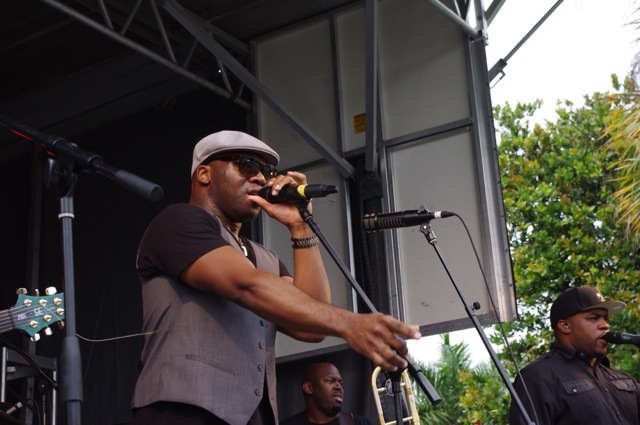 At the spacious Mizner Amphitheatre, jazz and rock and roll blues artists could to show off their talents to the people of Boca Raton. Despite the rain, people were having a great time. The festival was set up with musicians performing on the main stage in the amphitheatre and with musicians performing on a second stage outside the amphitheatre but within Mizner Park. Mizner Park is a hot spot for residents and tourists of Boca Raton, being home to many fantastic restaurants and stores. On the second stage, people were clapping their hands and stopping their feet listening to jazz trombonist Big Sam and his Funky Nation band. Other notable musicians who performed were jazz guitarist Walter Trout along with guitarist Joe Louis Walker. As the show went on, more and more people came in anticipating the final act, which was Tedeschi Trucks Band, who got to perform on the main stage. 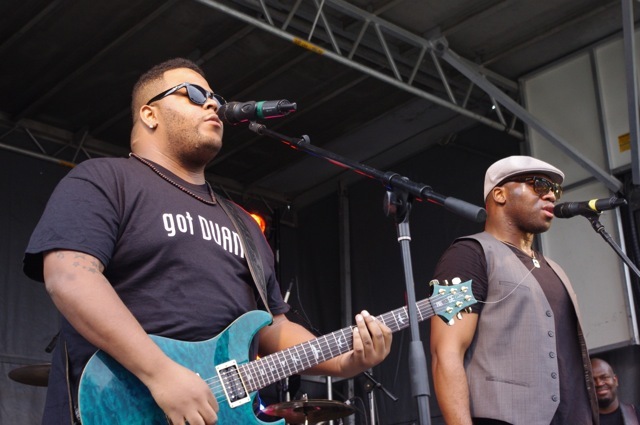 Swept Away Media was able to interview jazz guitarist Sean Chambers, who coincidentally grew up here on the Gulf coast of south Florida. Chambers seemed like he was having an enjoyable time in Boca, getting to play the music he loves and also getting to see this pleasant town. All in all, the Sunshine Blues Festival was a success, aside from the rain, with every visitor leaving with a smile. The blues just happened to keep the bluesy weather from ruining the day. The Sunshine Blues Festival held on January 19 in Boca Raton was a huge success for the musicians and the audience. This was the second day of a three day tour with the festival. Everyone, from children to adults, was having a great time listening to their favorite blues musicians and the rain couldn’t even put a damper on the fun. There were plenty of food vendors stationed around the Amphitheatre for everyone to enjoy. The festival kicked off with Bobby Lee Rodgers at 11:00 AM and fans were eager to say the least for the show to begin. The entire crowd sang and clapped along with every artist and everyone was just having a great time. 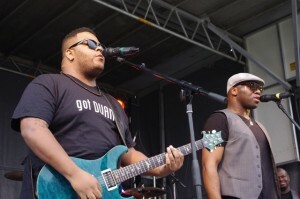 The Swept Away TV crew was able to snag an interview with Sean Chambers, a guitarist praised as one of the fifty greatest blues guitarist of all time. Despite the rain, the crowd was excited for the entire day even until the last performance by the Tedeschi Trucks Band which wasn’t over until 11:00 PM. Overall, the festival was a grand slam for the artists and the fans who enjoyed a wonderful day in filled with music.